Hola Cupcakez! I did this look on my cousin for a holiday party not too long ago and just had to try it on myself. 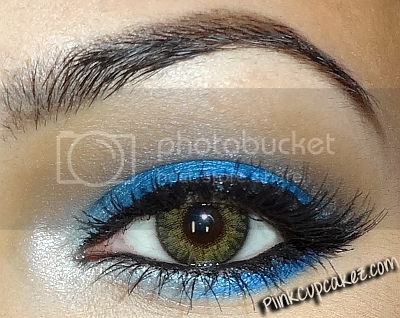 I looove jewel tone eyeshadows! They look great on everyone but I especially love how they look on women with darker skin tones. 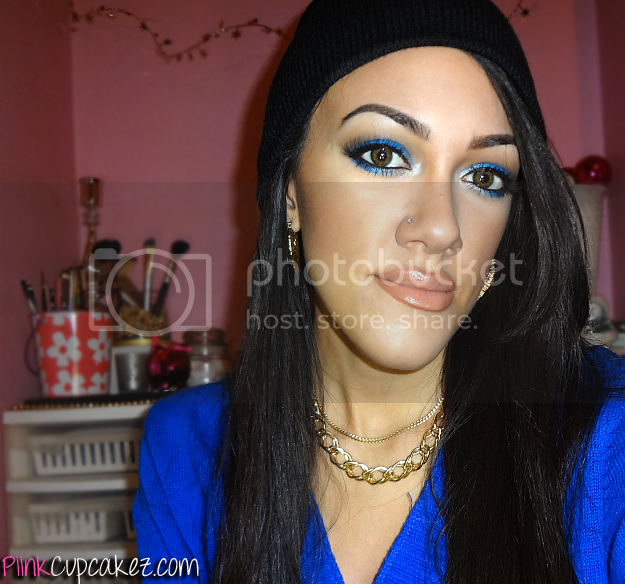 As I've said in previous posts, blue eyeshadow can be a bit intimidating to some but if you never step out of your comfort zone then you will never know what you're missing out on! It looks amazing when done the right way so rock it with confidence. MAC lipstick in "Creme Cup" and "Freckletone"
First apply your eyeshadow primer. I used e.l.f. Mineral Eyeshadow Primer. Apply a matte medium brown from crease to under brow bone. (This would actually be applied in areas 2 & 4 in the picture above.) 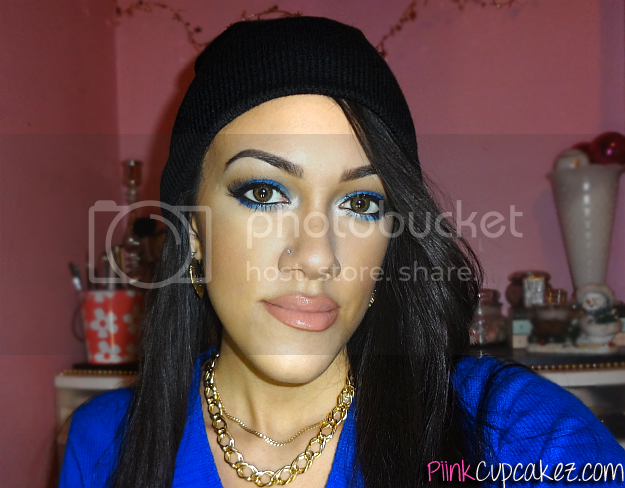 - NYX "Brown"
Pat on a light matte neutral shade under your brow. - Ulta "Bone"
Sweep a matte dark brown in your crease and blending where areas 1 & 2 meet. Place a light shimmery shade around the tear duct and blend it in 1/3 of the way on your lid. 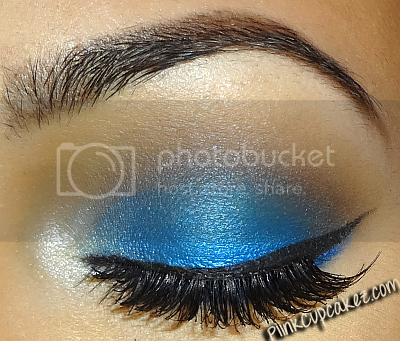 - Ulta "Stardust"
Place the eyeshadows that you used in areas 1 & 5 on your lower lash line. Put on your eyeliner and then coat your lashes with mascara. You can also apply lashes for a more dramatic effect. - L'Oreal Infallible Gel Eyeliner "Blackest Black", Maybelline Colossal mascara in "Glam Black", Salon Perfect "Demi Wispies"
If you try out this look please let me know or tag me on instagram "@piink_cupcakez". I'd love to check it out! That blue is so gorgeous. I love how you gave super step by step. Color is intimidating to me period, but I am learning more and more how to step out of my comfort zone.